It may come as a surprise to many individuals how simple it is to obtain a temporary restraining order (TRO) in New Jersey. Restraining orders are most commonly issued in cases involving alleged domestic violence among family members. All an individual has to do to obtain a temporary restraining order is allege fear of a person who has committed prior domestic violence against that individual. The process to obtain a final restraining order (FRO) becomes more involved and complex, which allows an experienced domestic violence defense attorney to challenge the restraining order. A restraining order can be issued regardless of whether you are eventually convicted of an underlying violent crime, and it can substantially impact your freedom of movement and ability to play a role in your family’s life. If you believe that you are the subject of an unjustified temporary restraining order in Hamilton, Trenton, Princeton, or anywhere else in NJ, it is important to contact an Ewing restraining orders attorney even if you have not yet been accused of an underlying violent crime. Temporary restraining orders can become permanent, making it important to fight the order while it remains temporary. A temporary restraining order prohibits an alleged perpetrator of domestic violence from contacting the alleged victim, whether directly or indirectly. Within ten (10) days after a temporary restraining order is issued, a civil (not criminal) hearing will be held to determine the merits of converting the order to a final restraining order. The ten-day period can be extended to allow the accused to obtain an attorney, or upon showing of other good cause. Importantly, a final restraining order will remain in effect indefinitely—until a future court determines that it should be terminated. Any violation of a temporary or final restraining order will be treated as contempt of court which, under N.J.S.A. 2C:29-9, is a fourth degree crime that can result in up to 18 months in prison N.J.S.A. 2C:43-6). However, if the individual commits another crime in conjunction with violation of the restraining order, such as assault, stalking, or harassment, the penalties for violation of the order apply in addition to penalties for the underlying crime. A mandatory jail sentence of 30 days applies for a second violation of a restraining order, although the judge has the authority to impose up to 18 months in jail. 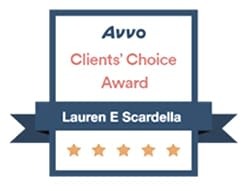 Why Choose NJ Criminal Defense Attorney Lauren Scardella to Represent You at Your Final Restraining Order Hearing in East Windsor, New Jersey? 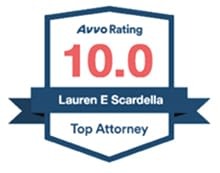 At the Law Offices of Lauren E. Scardella in Hamilton, New Jersey, I work relentlessly to uncover every piece of evidence that can be used to argue against imposition of a final restraining order, including in identifying and presenting witnesses who can rebut the need for the restraining order in the first place. In many NJ restraining order cases, I will offer mitigating arguments that can reduce the severity of any conditions that are attached to the restraining order. Inclusion of your fingerprints in a database of domestic violence offenders. Potential impact on child custody or visitation. Restrictions on ability to travel, including potential for stops at airports to ensure you are not with the alleged victim. Inability to attend your church, children’s school, or family events. The standard of proof that the prosecution must satisfy in order to issue a final restraining order is lower than in the criminal context. 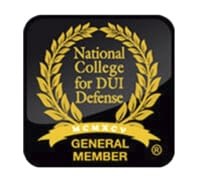 Instead of “beyond a reasonable doubt,” the prosecution must only show that the restraining order is justified based upon a preponderance of the evidence – meaning “more likely than not.” This lower standard makes an experienced NJ domestic violence defense attorney all the more critical to building a successful defense against imposition of a restraining order. As an experienced Hamilton criminal defense attorney, I understand the lasting emotional impact that imposition of a restraining order can have on my clients. If you would like to retain legal counsel, you must act quickly once the temporary restraining order has been issued. I offer a free consultation, flexible appointments, credit card payment options, and I always respond promptly to emails and phone calls. Contact my office today at 609-587-1144 to schedule a free consultation to discuss your case, or fill out this online form. The law firm office is located at 2653 Nottingham Way STE 1, Hamilton Township, NJ 08619. 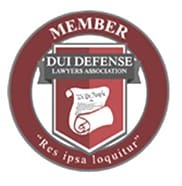 Can I obtain a court-appointed attorney to defend against a final restraining order? No. The hearing to determine whether a temporary restraining order should be made permanent is a civil hearing, not a criminal case. Therefore, the constitutional “right to an attorney” does not exist in restraining order cases. You must therefore retain a private attorney if you wish to obtain legal guidance and representation in your case. How can a restraining order impact my future and career? Although imposition of a final restraining order is not a criminal issue in New Jersey, you will be fingerprinted and put into a database of domestic violence offenders. It is possible that this could show up on a background check, depending upon how thorough the background check is. It is also possible that the restraining order could impact your professional licenses, depending upon the field. A restraining order cannot be expunged from your record, because it is not a criminal offense. Even if the order is lifted, you may need to hire an attorney to reclaim any firearms that were surrendered as a condition of the restraining order.